More than 200+ corporations, 1500+ birthday parties and 25 proposals have taken place at FLEE the Ultimate Real Life Escape Games. Escaping our immersive and interactive rooms requires all the elements of good teamwork. Keen observation, problem-solving skills, and proper communication are essential in order to beat the clock. It is the perfect activity for corporate groups to come together for one unique and engaging purpose. Build up your team’s ability to problem solve together and be entertained in the process. At FLEE, multiple escape games can run simultaneously. Each team building activity will be approx. 80~90 mins total including 15 mins instructions + 60 mins room escape sessions + 15 mins group photo sessions. 12+ participants are required to reserve a team event. If you have less than 12 people, you can book specific room online here. Group rate is $25 + tax / player for 13 - 20 people and $23 + tax / player for 21+ participants. A non-refundable deposit $100 is required, which goes to the total amount. Total cost is based on the actual count of players (We don't hold reservation until the reservation deposit has been made). Contact us for package of 50+ team events. FLEE Redmond have 5 immersive game rooms. One session can take up to total of 38 players, with up to 8 players in each themed game room. FLEE Seattle have 2 interactive game rooms. One session can take up to total of 24 players, with up to 12 players in each themed game room. 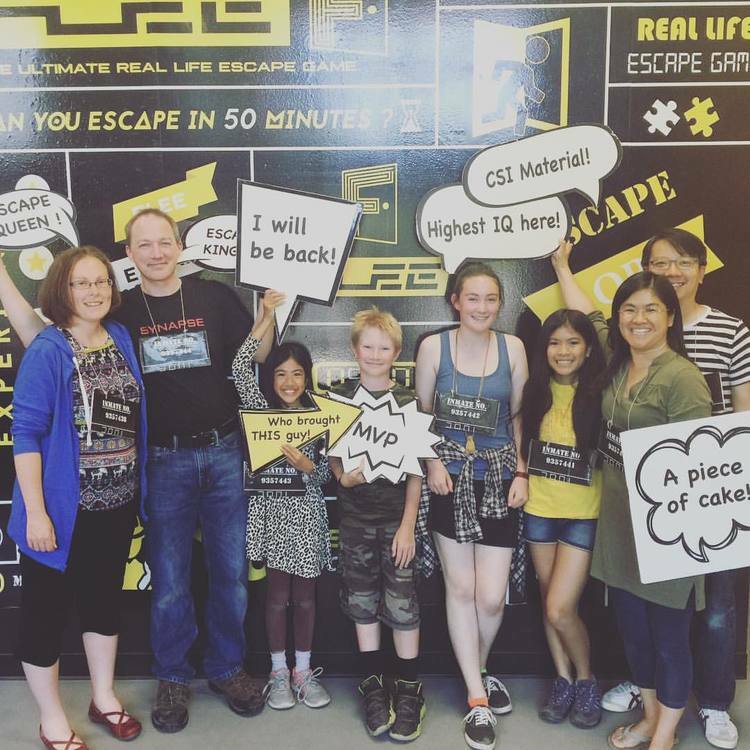 WE CAN BRING ESCAPE GAMES TO YOU! The FLEE Escape Games® Mobile Escape Games are racing across the states. Our portable experience can bring the excitement of a competitive puzzle solving event to the location of your choice. Our games and themes can be customized cater your event, no matter it is a corporate retreat, private wedding or birthday party at the backyard. Participants divide into groups and use out-of-the-box thinking to unravel clever puzzles. Success is not guaranteed, but fun, a sense of accomplishment and an appreciation of your teammates is! 20 ~ 45 mins to escape (escape time is configurable). Support up to 100 players to play in parallel. 5 mins cleanup & set up time between sessions. Starting at $399. Contact us for details. 15~30 mins to escape (escape time is configurable). Games will be run continuously. 2 mins clean up and set up time between games. Starting at $499. Contact us for details. Our puzzles are designed to help you appreciate other team members’ strengths. Everyone contributes! This shared experience provides insight into your group’s performance. 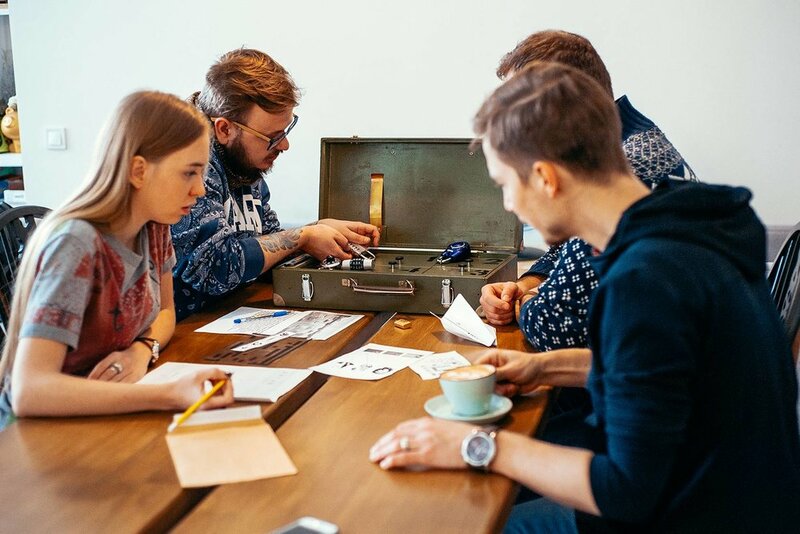 A team building experience in a fun and relaxed atmosphere can be more appreciated than traditional techniques.